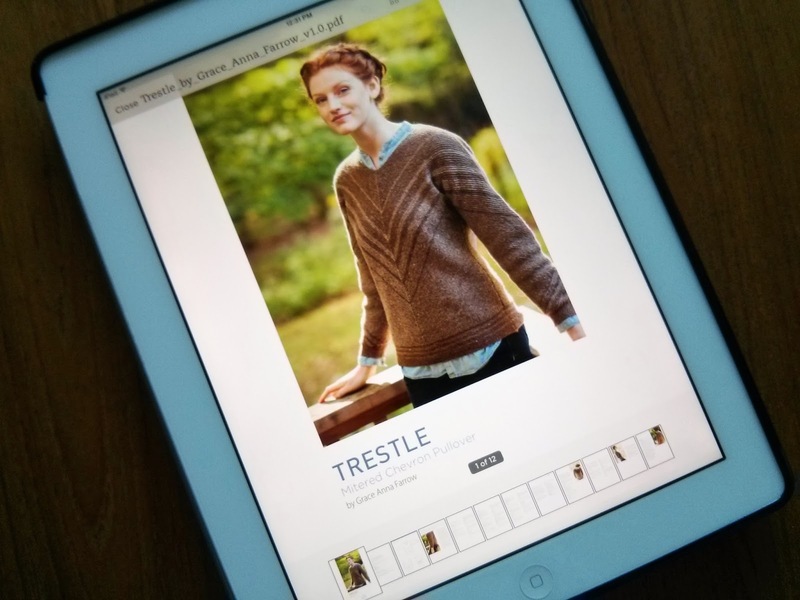 Back in mid-January, I started the Trestle chevron pullover from Brooklyn Tweed. 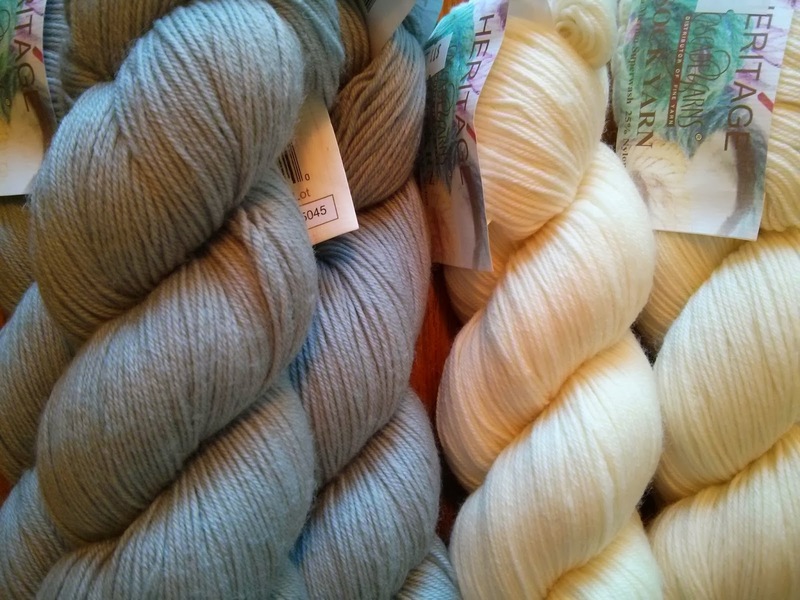 I'm using Cascade Heritage sock yarn in grey and snow. 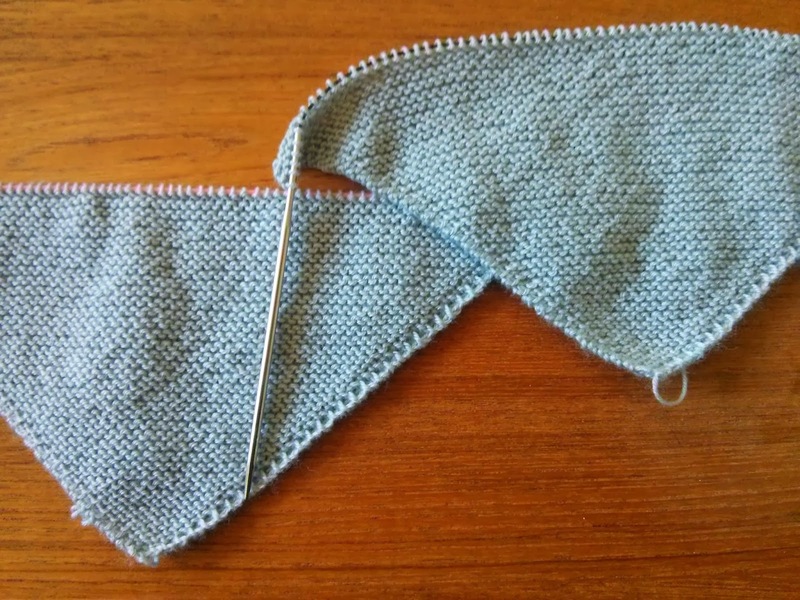 I finished the bottom-front and am now combining triangles for the bottom-back. The garter stitch knitting is rather mundane though, not to mention slow going with size four needles, so when I saw this Purl Soho fair isle sweater pattern, I got pretty excited. First of all, it's knit with chunky yarn, which means I could probably finish it in a week. Second, I love the design–it's like a deconstructed fair isle, which is so utterly simple that it's brilliant. I love the colorways of the Purl Soho sweater, but for my version I decided to use Mountain Top Blackthorn in alabaster for the main color and Classic Elite Wynter in dusty teal for the contrast color. I'll be swatching and starting this project today!